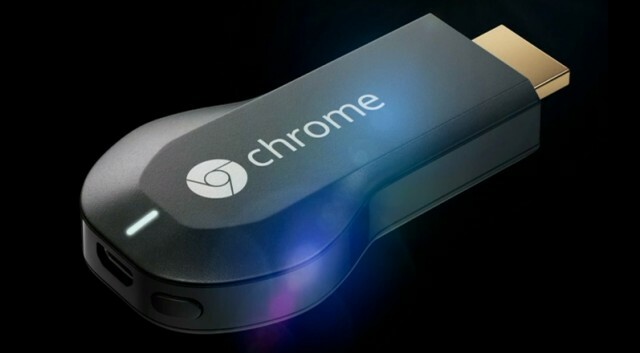 During Google’s event earlier today, the new Chromecast was announced which will directly compete with the Apple TV. Chromecast is a dongle which plugs into a TV via an HDMI port and can then stream media from other devices such as smartphones, tablets, and computers. Google has attempted to enter into the television market for years now and no matter what device they do it with, they have always failed. The Google TV service in 2010 was negatively received and has yet to attain any sort of major attention. In a statement with CNET, Sundar Pichai said that “Google TV is moving forward in a major way” because of the $35 Google Chromecast. Unlike when Google TV first launched, the point of entry for Chromecast is incredibly low which has already resulted in an overwhelming amount of pre-orders pushing the release date back. Querioz may very well be accurate in stating that it is the best way to bring online entertainment to a TV, simply because of its low price tag. At first, certain Google applications such as YouTube and Videos will receive support for Chromecast, but other apps like Netflix will be coming in the near future. With a new Apple TV likely coming out of the woodwork shortly, Chromecast will have to put up a big fight since it lacks the level of content that Apple has been able to secure. Just for the sake of its price, analysts expect a large portion of consumers to try out Chromecast. The Google Chromecast will be released on August 7th.